Goddard's Amber Caddis is a variant of Goddard's Natural Caddis which was devised by John Goddard and Cliff Henry at Bough Beech reservoir in Kent. 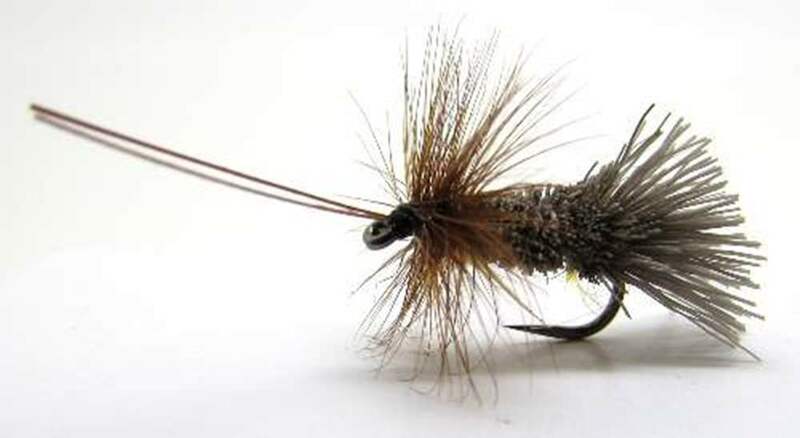 This fly can imitate a wide range or larger sedge flies and is unique in its wing construction. Using highly bouyant deer hair cipped to a wing shape. The Goddard Caddis has achieved wide popularity on both sides of the Atlantic. For the more adventurous among you we have provided tying specifications for the Goddard Amber Caddis. Remember at The Essential Fly we sell the Goddard Amber Caddis at incredible prices with a top quality fly and service to back it up. It is certainly worth tying the Goddard Amber Caddis yourself to understand the pleasure of catching a fish with your own tied fly, however at the price we sell flies it is only worth tying one or two Goddard Amber Caddis as your can spend more time fishing instead of tying flies - buy volume online with us.